In this year’s University Forum on Teaching and Learning, Dr. Krisstal Clayton will introduce the idea of gamification as a pedagogical mindset; one that transforms the process of teaching and learning through the power of play and class interaction. Dr. Clayton will talk about how her teaching experiences led her to gamification, and will share her data and student evaluations demonstrating the positive effect that gamification has had in her classes. She will share simple strategies for standalone activities as well as talk about her experience with integrating gamification throughout a full semester, and attendees will get to participate in a demonstration of how gamification can be simple, effective, and work for a variety of class sizes and topics. Join us on April 17 and learn how to level up your classroom experience! Krisstal Clayton received her Ph.D. from New Mexico State University in 2009 under the tutelage of David Trafimow, Ph.D. She is an associate pedagogical professor of psychology at Western Kentucky University, where she regularly teaches Introduction to Psychology, Research Methods in Psychology, Research Methods in Psychology Lab, Cross-Cultural Psychology, Statistical Methods in the Behavioral Sciences, Psychology and Law, Social Psychology in Applied Practice, and Social Psychology. She has also taught courses in Lifespan Development Psychology, Introduction to Clinical Psychology, Abnormal Psychology, Research Projects in Psychology, and Psychological Testing and Assessment. She also regularly teaches online and honors embedded courses. Krisstal was awarded the 2015 College of Education and Behavioral Sciences Excellence in Teaching Award. As a teacher, Krisstal is a student favorite known for exposing students to fascinating real-world examples such as cult development, pleading insanity, the prison system, prejudice, the bystander effect, music and rehabilitation, and the extreme collective mindset of North Korea. Krisstal has supervised several undergraduate research projects including National Science Foundation REU scholars, and recently began investigating the impact her pedagogical interventions can have on student perspectives about society and the world. Her research on pedagogical interventions has been presented at the 2017 and 2018 National Institute on the Teaching of Psychology. 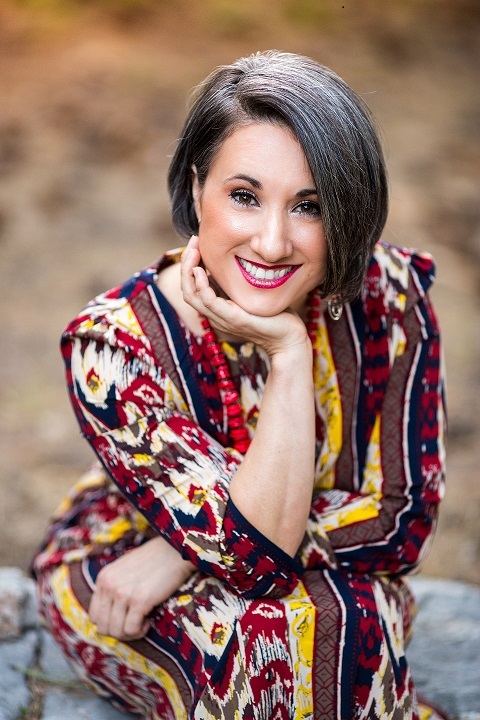 Currently, Krisstal is a consulting editor for the Journal of General Psychology and an author for Sage Publications to develop cutting-edge teaching materials both in-print and online. Videos of the event will be posted soon! 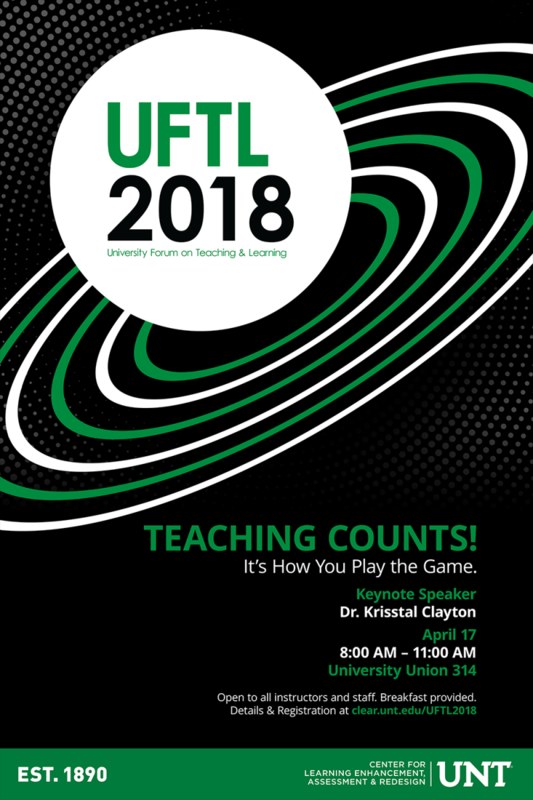 UNT's UFTL is an event designed to enable faculty, graduate teaching fellows, and staff involved in supporting teaching and learning to engage in open dialogue about the challenges of teaching and to share ideas and practices that improve teaching effectiveness.